"Its nice & valuable also with the great price." 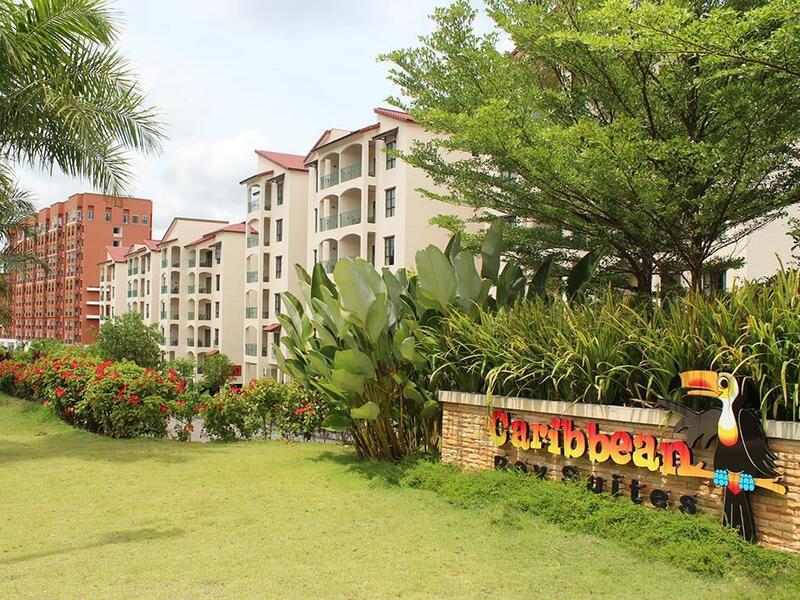 Have a question for Caribbean Bay Resort Bukit Gambang Resort City? "Spacious and clean toilet with the necessity." "Will come again and will bring my kids for next holiday." Monday: closed except during Malaysia’s public and school holiday. Tuesday: closed except during Malaysia’s public and school holiday. The property will be closed for renovations from May 1, 2019 to December 31, 2019. I like staying here because the room are big. However the cleanliness of the room is a bit poor. I think it's because there's not alot of people there and gambng resort is such a big place. I would lo e to see it thrive. Booked for 5 rooms and request for early check in, understand that standard check in time should be 3pm but we only get the room key at 4pm. Most of the rooms are not in good condition. No water heater, air condition is not working, the room door not even can close. Breakfast served until 10am but 9am already not much of food left. They will refill the food after you asked for it, but need to wait about 45 mins just only for the egg! Not many people while I check in and check out, but wait for very long. Staff not efficient and not helpful. Totally not value for money. Not even rated as 3 star resort!! Beratur panjang dh sampai xboleh dpt kunci lg..just byr depost and staff suruh dtg collect kunci at 3pm..dlm 10minit lg pukul 3 utk checkin..but bile dh pukul 3 nk amik kunci still kene berator lg dgn queue yg panjang..around 3.30 br di layan..management spttnye lebih sistematik ya..overall bilik,sume ok nice.. 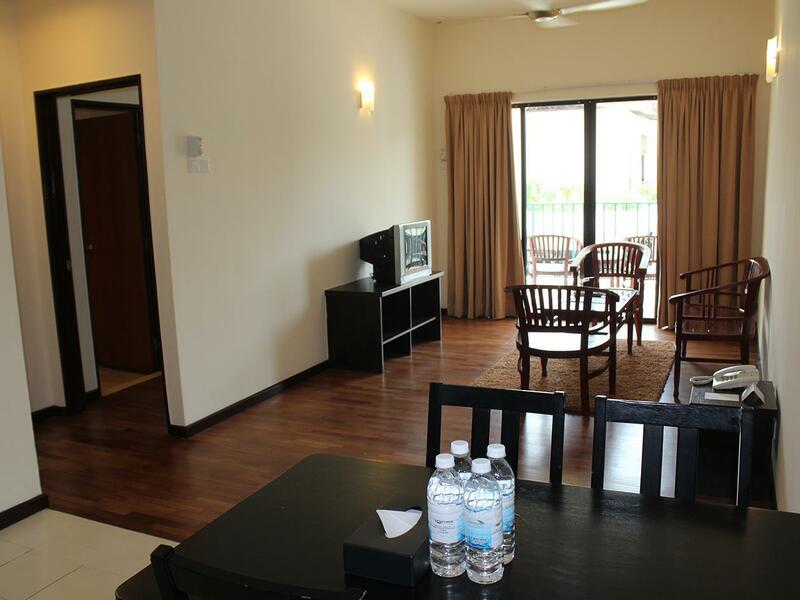 The room are big and spacious but it was dusty, the hallway was dark and quite scary, my room was quite far from the swimming pool and the pool was quite dirty. The air-conditioner in the room is located not directly facing the bed, so it was hot. We had to push the bed (rearrange) to get the air-condition service. When we push the bed, suddenly we found a lot of trash under the bed! The resort seem to be stay on with no maintenance. Most of the things was faulty or malfunction such as the electric socket no power, the fan control drop and that is ants inside the fridge. The bedsheets have awful smell which I think was long enough no occupy room that make us cannot sleep for the whole nights. Overall will not back again to this resort and recommend to anyone else. breakfast is terribly pity that it was very simple, no much variety. No eggs served in breakfast, it made me feeling so pathetic (eggs is daily basis food). The location is far from town, accessible to eating is easy. The safari is well maintained, just pity few animals with drying looks and malnutrition. The animal show too simple, short and not attractive. No much fun to enjoy facility here as old and poor maintained. We booked studio suite and arrived at the hotel around 10pm. To our surprise the front desk staff offer us a free upgrade room to 2 bedroom suite. The breakfast buffet had varieties of foods and some of the menu are Hari Raya foods. We went to savannah safari and it was really great as there were lots of animals and all of them are in good shape. At night, we came back to see fire show and Tarzan show which the staff delivered good performance and my kids really enjoyed it. However, the cleanliness of the room need to be improved as the towels provided got stains, toilet equipments were not well maintain and WiFi at room are slow. Excluding the improvements required, I would still recommend this hotel for a short stay with kids as safari and water theme park are great activities to spend time together. The room is nice and big. Also cleanliness is acceptable. However, in one of the bathroom the water pressure is very low, and to have these in water resort facilities not really acceptable. What is worse is there are no wi-fi in the rooms and the telco network connection is not really consistent. For a resort without this kind of modern amenities is really unacceptable in this day and age. The TV is of tube, era and no real channel to watch. Service sgt2 slow... checkin amik masa sejam.. staff sgt tak mesra.. The service of receptionist is very slow, had to wait up quite a long time to check-in while the check-in time (3pm) is late compared to other hotels. The room facilities are no well-maintained, as such the water kettle is too old to use and the fridge is very smelly. The good side is there are extra pillows provided for each rooms. This is the first time I don’t give 5 stars! Pros: close to Gambang waterpark and safari park Cons: the floor outside of the room is dirty, the TV is super old and made weird noises. Room service came at 18:00!